When you think about adding volume to your hair, you might think, “hey, let me get this awesome product for adding volume”. Well, you are not alone in that. But what few people tell you is that you can actually cheat your way to more voluminous hair. Yes, that is right. There are tricks for adding volume. Now, we all know that keeping our hair looking awesome sometimes feels like an uphill battle. You have to nourish your hair, keep it clean, and so on. With that in mind, if you have five minutes, all of these tricks are possible and actually worth it. If you didn’t know, this is a trick even Adriana Lima uses every now and then. And it is a tradition in Brazil, where women go to sleep just after washing their hair. Most stylists tell you that you should never sleep with damp hair. Well, this is a trick that will give you so much volume once you wake up. All you have to do is slightly dampen your hair, and then put it in a bun. Some women prefer to wrap it in a towel. Remove in the morning, and you will be amazed at the result. 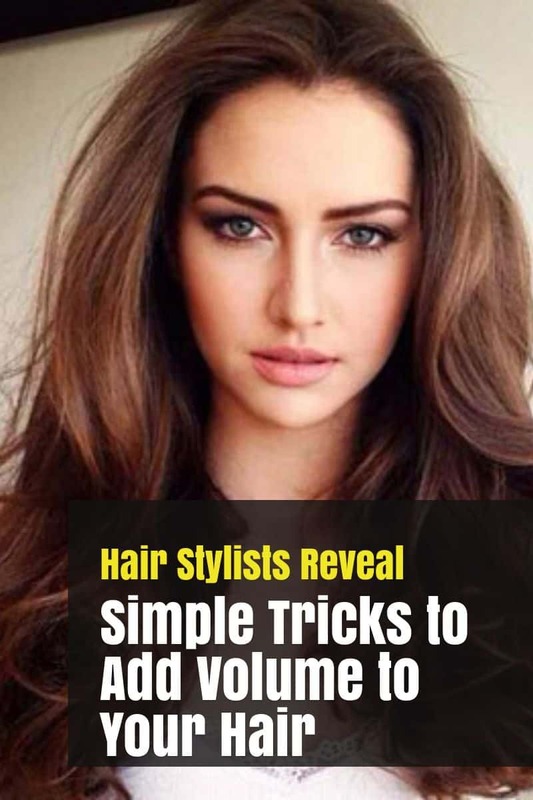 This is one of the quickest and simplest tricks for adding volume. In many cases, your hair tends to lie flat at the part it naturally parts. As a result, your hair looks like it has zero volume. Now, we know you do not want that, right? Well, all you have to do is change your part. For an instant boost, simply flip the hair over to the other side. That is it. Amazed yet? This is a simple trick that will yield long-term results. Your hair spends a lot of time on your pillow. To be precise, between 7 and 8 hours for sure. That is, if you are sleeping well. During those 7 hours, your hair is exposed to a lot of dirt, oil, bacteria, and all other impurities hiding and building up in the pillowcase. When you sleep, these impurities can transfer to your hair and weigh it down. With that in mind, a simple trick that yields long-term results is changing your pillowcase at least once per week. If your hair is oily, do it two times per week. For an even better result, buy a satin pillowcase which is antibacterial. Very few people brush their hair backward. But if you do not experiment, you will never know the amazing results. Do not be afraid to experiment every now and then with your hair. With that in mind, this is one experiment that has produced so many amazing results so far. If you do it properly, you will get a lot of volume. What you need is a soft paddle brush. Work backward at the ends of your hair. Remember, be gentle. This technique is perfect for giving your hair some lift. Experts do it all the time, so why not try and copy the technique? Some 20 to 30 years ago, hot rollers were a staple at a hair care salon. Nowadays, not so much. But that doesn’t mean they are not effective. They might look and seem prehistoric, but hot rollers are one of the best ways for adding volume to your hair. Just be careful, read on how to use hot rollers for volume. If you do it right, you will get a lot of lift. If not, you might get more frizz than volume. As a general rule of thumb, when using hot rollers, you take them down after they are completely cooled. And be careful, do not turn the heat up too high, as it can damage your hair. Changing your hairstyle through the day is another amazing trick for adding volume. 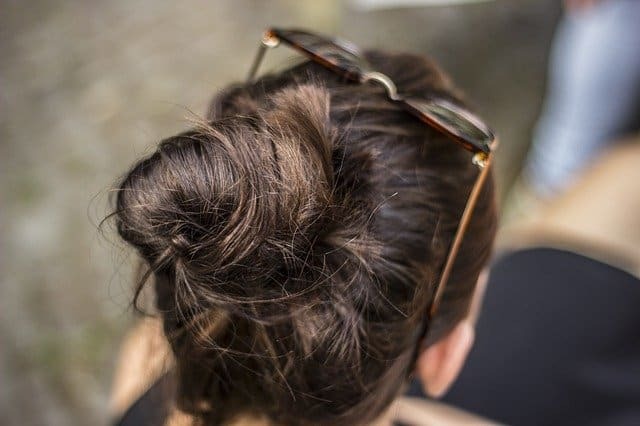 As a general rule of thumb, you can start with your hair up. Use a bun, clip, or any other method that you prefer. Then, in the middle of the day, let it down. This trick will help you keep the hair looking fresh for a longer period of time and add some volume. The best part is: you will maintain that volume through the entire day. Most of the tricks for adding volume to your hair usually require some five-minute change. But now we are at the part where you actually have to pay attention to what you use. Yes, there are different options when it comes to shampoos for adding volume. But do not buy any shampoo marketed as volume-building. The trick to choosing the right shampoo is simple. Go for one that is clear, or at least translucent. 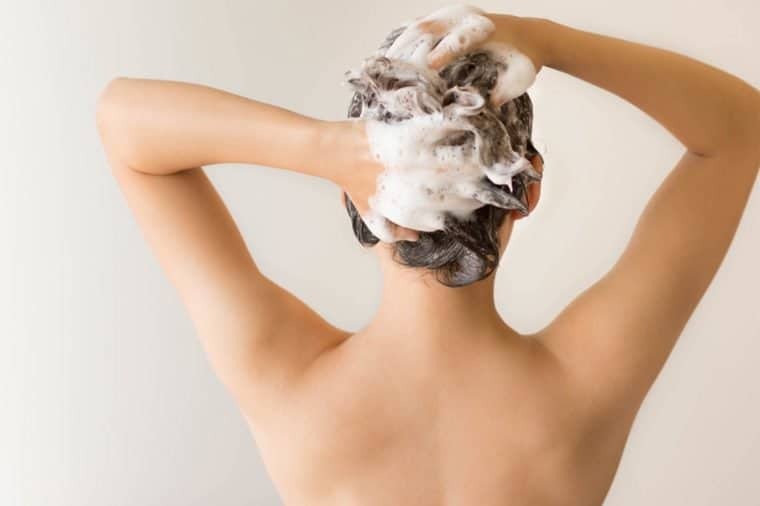 Creamy shampoos have a lot of ingredients that will weigh down your hair. Do not fall to the marketing trick. There are a right and a wrong way of washing your hair. The wrong way is over-washing. Many people make the mistake of using shampoo on a daily basis. This will strip your hair of its natural oils. Your hair needs these oils to nourish it. Without them, the hair looks dull and flat. 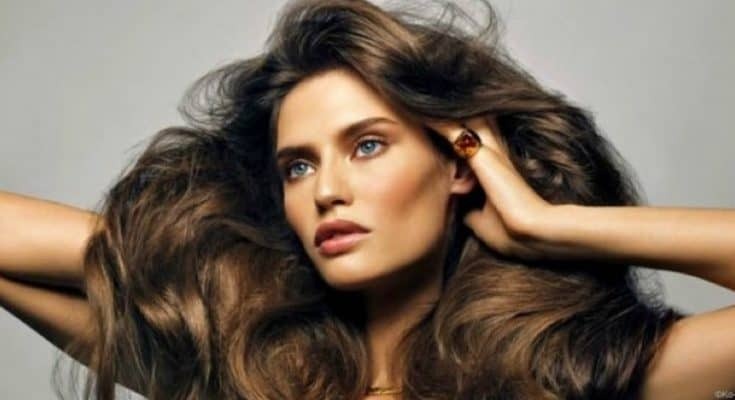 If you want to add more volume to your hair, the trick is washing your hair and applying shampoo less often. That means once in two days, preferably once in three days. And in the days between, you can try a dry shampoo. Again, use one that is not creamy, and does not have many ingredients that weigh the hair down. Conditioners are designed to add strength to your hair, and make it look more beautiful. But they are creamy. And similar as shampoos, they contain a couple of ingredients that weigh down your hair. So, while you should apply the conditioner, there is a trick. Here is one from hair stylists. Never apply conditioner to your roots. Work conditioner through the ends only using the fingertips. By following this trick, you will add volume and strength to your hair, without making it look dull and flat.